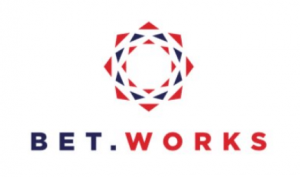 Bet.Works gets GLI certifications - Sports betting on its way! When wanting to obtain a sports betting license, it helps to have all your ducks in a row. And receiving a GLI certificate will clear out a lot of obstacles on the long road to becoming a sports betting operator in the US. And this is exactly what Bet. Works (BW) has done. So, what so important about the GLI and what does it mean for the company itself? Let’s explore the license and see what benefits it will bring. In fact, BW did not only receive one GLI license but 2, the GLI-33 and GLI-19. Our sources tell us that BW is one of the first platforms to receive them both simultaneously. David Wan, CEO of BW expressed excitement in a recent press release. In fact, he said that the certifications are putting BW in a strong strategic position for expansion. First, we like to point out that, at this time there are only three companies that have managed to clear the GLI-33 process, and BW is one of them. Now, the GLI makes sure that companies systems and gaming devices fall within the jurisdiction and its regulations. Although, every jurisdiction has their own set of guidelines and expectations. But, the GLI has become a base standard companies try to achieve to make sure they are on the right track to obtain sports betting license. Before obtaining a complete license, that is. So it’s easy to see why BW are happy about the newly obtained certificate. And for now, the company may be somewhat unknown in the Garden State. But surely this company is only starting to make noise in the online gambling industry.